One item that is forgotten on a lot of camping trips, a storage container for water. We take running water for granted, so having to run to a water pump every time it is needed at the campsite could be a full time job. 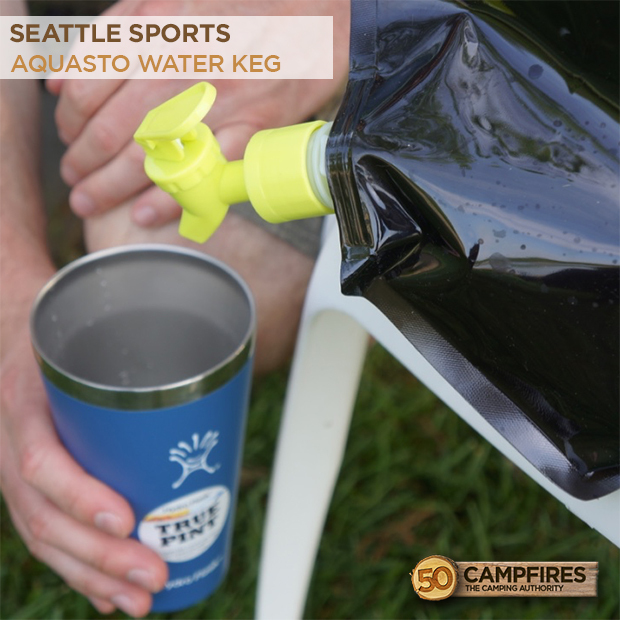 The Seattle Sports AquaSto Water Keg will solve your problem as the 8 liter container sits perfectly at your picnic table ready for use. Appearance: The AquaSto comes in two colors: blue and black. The color you choose depends on how you plan on using it. If you’re looking for drinking water at the site, blue is the way to go. If you’d rather have warm water handy for dishes and other campsite clean up then the black is your best route. 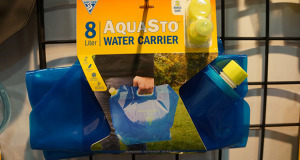 The 8 liter AquaSto is plenty of big enough and comes with an easy carry handle with spigot for pouring. Ease Of Use: The AquaSto couldn’t be much more easy to use. 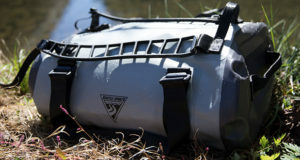 It is easily collapsible so storing in your camp box or your backpack is simple. Unfilled, it comes in at 2.5 oz which is nearly nothing. The twist able spigot allows you to easily fill when needed, with one turn to pour and the other to stop the water. 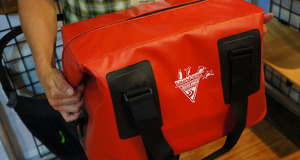 The AquaSto can even be frozen to help chill items in your cooler on the way to the campsite. 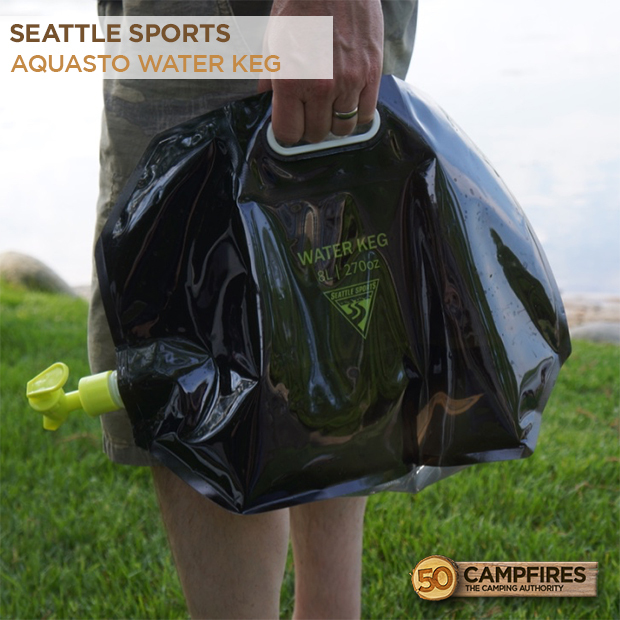 Durability: Built with a durable puncture resistant polyethylene body, the Seattle Sports AquaSto Water Keg can handle being thrown around in the camp box. The BPA and PVC free water carrier is environmentally safe and is a healthy container for drinking water. 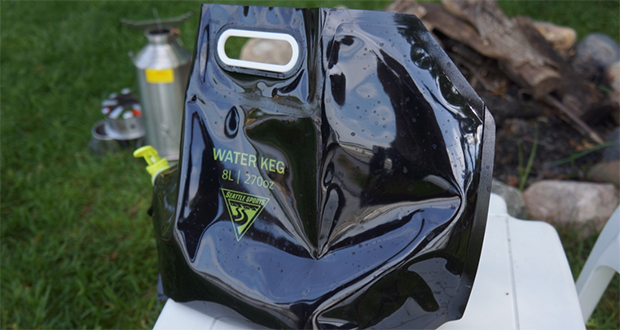 At 8 liters, the water keg holds a healthy amount of water and is durable enough for those trips back and forth to the water pump. Value: At just $14.95 the Water Container is an easy purchase to keep in the camp box. It is always needed and is small price to pay for 8 liters of water readily available at the campsite. Unless you’re the person that highly enjoys running to the pump for water 15 times a day.